Holly and son Roman are rocking a head full of curls in the sun. Holly Robinson Peete is the beautiful mother of 4 and wife in OWN’s “For Peet’s Sake” Docuseries and we love seeing her and the family. The actress and former model has been showing us true black love by being married to former NFL quarterback, Rodney Peete for over 20 years and that’s saying something for Hollywood. Holly is still working while raising a beautiful family and she shares the love on the ‘Gram often. 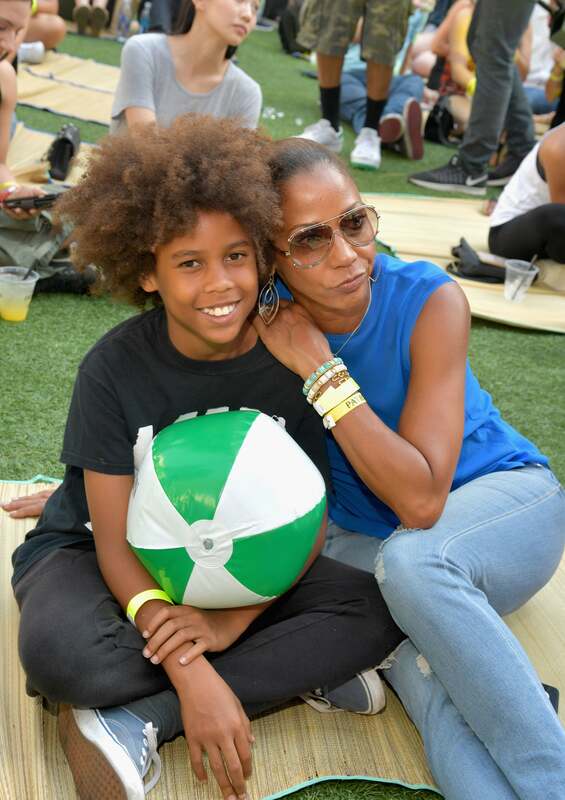 Yesterday, she shared a photo of her and her youngest son, Roman, basking in the sun on the 4th of July. Holly, wearing a sunhat while her curls fall on her shoulder and her son Roman is full of smiles and a head full of light brown coils. According to Holly, he’s the only one that would take a pic with mom and she’s super grateful for it. That boy has gorgeous hair and we love it! We enjoy seeing mothers nurturing the hair of their daughter’s and son’s and more men and boys are rocking their natural hair longer and full of coils, curls and kinks. Natural hair is not just for the ladies.